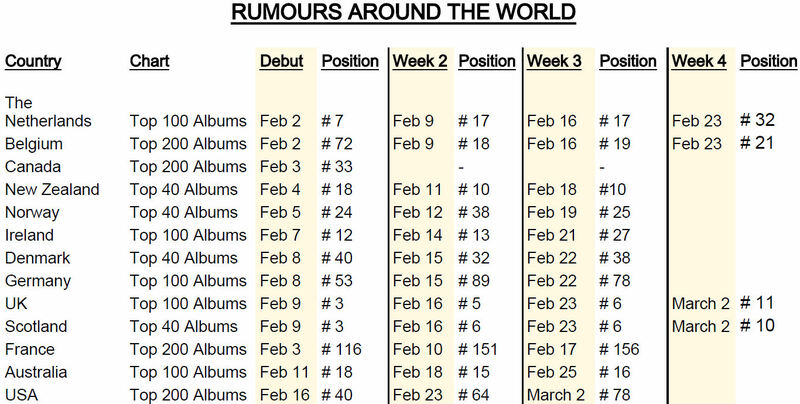 4th week for 'Rumours' on the UK charts just narrowly missing a 4th week inside the Top 10, coming in at #11 this week. New Zealand updated their 2012 year end charts and Fleetwood Mac land within the Top 50 Best Selling Albums Chart with the re-released box set "25 Years: The Chain". Not bad considering the box set wasn't released until the fall of 2012 in New Zealand.